Welcome to Day #5 of Nibs Theme Week. 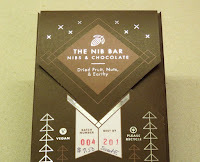 Today's dark chocolate bar was made with cacao beans from the Toledo district of Southern Belize. 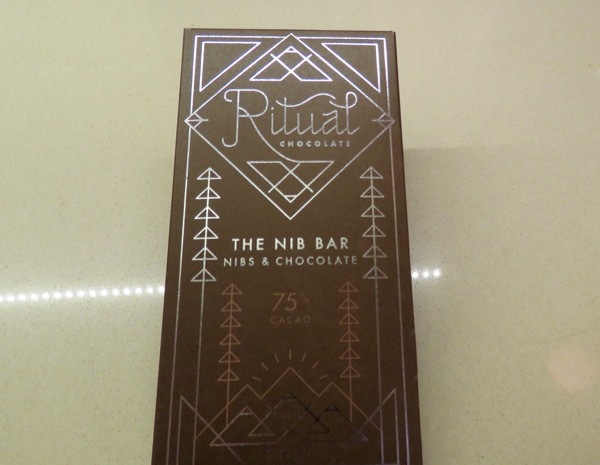 "The Nibs Bar" from Ritual Chocolate (Park City, UT) had a faintly sweet, earthy dark chocolate and coffee aroma, and a fairly strong coffee flavor with a hint of dried and/or citrus fruit. 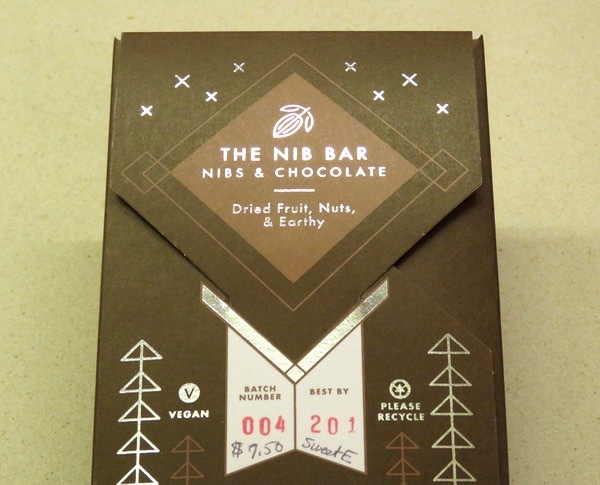 This two-ingredient bar was made from cacao and organic cane sugar. I knew this, and yet I found myself re-checking the ingredients, to make sure the cacao nibs weren't coffee nibs. If you like coffee, you'll like this bar. 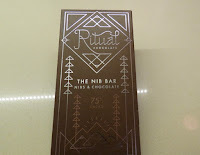 The bar's packaging (and bar) were very well designed. Every side and surface contributed to the company's story, from the mountain peak motif and the sparkly stars above*, to the cacao pod nestled in the middle of a diamond shape. 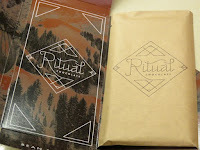 *The company crafts their chocolate in the mountains at 7,000 feet (2,133 meters). While it can be difficult to make chocolate in a hot climate, making chocolate in the snowy mountains (despite a temperature-controlled inside) must also require some re-calibrations for altitude, relative dryness, and weather. Fortunately, the team at Ritual has had practice. They moved to Park City, UT from Denver, CO.